Bakers Hill ARC was started in 2001. A meeting of local Horse people gathered together and decided that the area was expanding so much that an Adult Riding Club was needed in the area. The Werribee Pony Club had already been formed some years previously and grounds had been cleared at the old Bakers Hill Tip site for equestrian use. The two clubs applied for funding to get a club house and toilet facilities, and the Shire gave the clubs the old Wundowie Medical Centre, which was loaded on a truck and delivered to the grounds. 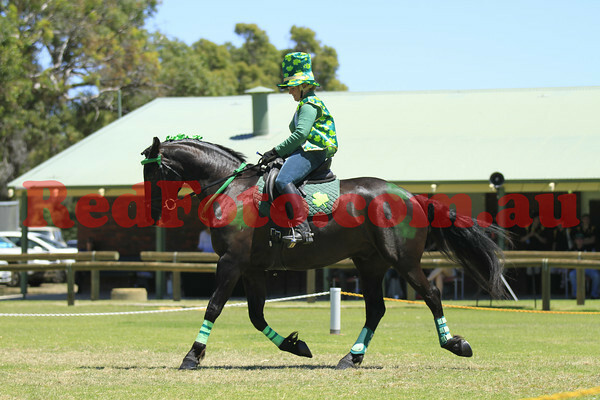 With a grant available from the Shire of Northam and Sport and Recreation we were able to have the medical centre converted to having two toilets, water tank, and to resurfacing the arena areas, and so life on the 2nd Sunday of the month became extremely busy for many an equestrian enthusiast. The Club today has a membership of 25 riders. Members enjoy the company of other riders on rally days, and lots of chat and laughter over lunches. Most members come from other areas of horse sport which they attend on the other weekends of the month. The Club is affiliated with the Adult Riding Club Association which has three competitions a year for members, a spring challenge, winter dressage challenge, and a spring One Day Event. Over the past years the Bakers Hill ARC have had wonderful sponsorship help from the Shire of Northam. To date the Shire have helped us in purchasing another water tank and two smaller tanks for the front of the building. They have helped with the paving to the front of the club house, and also with the kitchen facilities and connection to the water tank. The Shire provided a grant to the Pony Club which meant that more steel horse yards were able to be built. During 2012 with a further grant from the Shire the club house has had new wooden flooring to the kitchen, toilet and meeting room, and cafe blinds to the front patio area. In the 2012/2013 year we have with Shire funding once again managed to put in a sliding door to the meeting room and change doorways to several parts of the building making the area easier to access for people with disabilities. We thank the Shire of Northam for their continuing support to our club, and it means that each year we have been able to do improvements to the area and the buildings.